A residential roofing is easily one of the most expensive investments that you could make in this lifetime. It requires not only resources but both your time and constant attention. 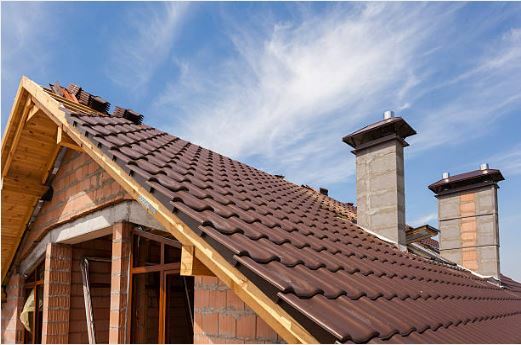 While it is exciting to build your own residential roofing, it can be a difficult experience. This is the reason why Miller’s Home Improvement has been working non-stop for over 30 years to provide Michigan residents with a beautiful and long-lasting roof. Our goal is to minimize inconvenience by personalizing our approach to residential roofing construction. Ready to achieve your dream residential roofing? We are committed to delivering superior workmanship to produce a visually appealing and weather-proof residential roofing. For the products we use, we only partner with top-rated manufacturers. This is to ensure that you get the best value for your money and at the same time enjoy a strong roof. Our workers undergo the most rigorous industry-based training. Hence, we are confident to say that every residential roofing project is a success. Why Hire the Miller’s Home Improvement Roofing Company? We take work seriously and make sure that you receive the most accurate information and estimates based on highest industry standards. A company that responds 24/7 even at the most crucial situations. We want nothing but the best for Michigan residents, thus, we provide warranties that extend up to more than 50 years. Worried about unwanted incidents? We got you covered because our products and services all have corresponding insurances. Money back guaranteed! Our residential roofing experts are ready to take your call. Contact us today and get your FREE estimate: 248-242-0820.